Today we are baking a gigantic cookie, and then we will spin it! 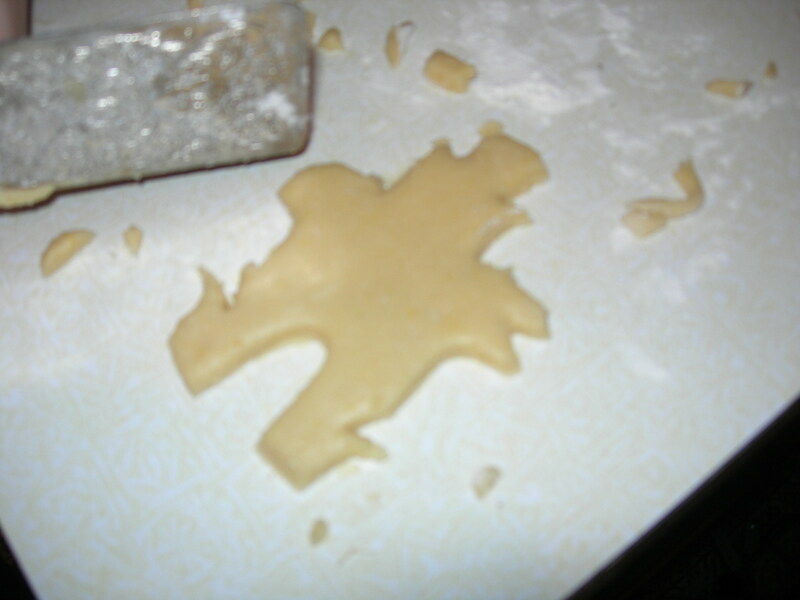 We are attempting to determine the speed of a rotating cookie, and I will compare it to a merry-go-round. 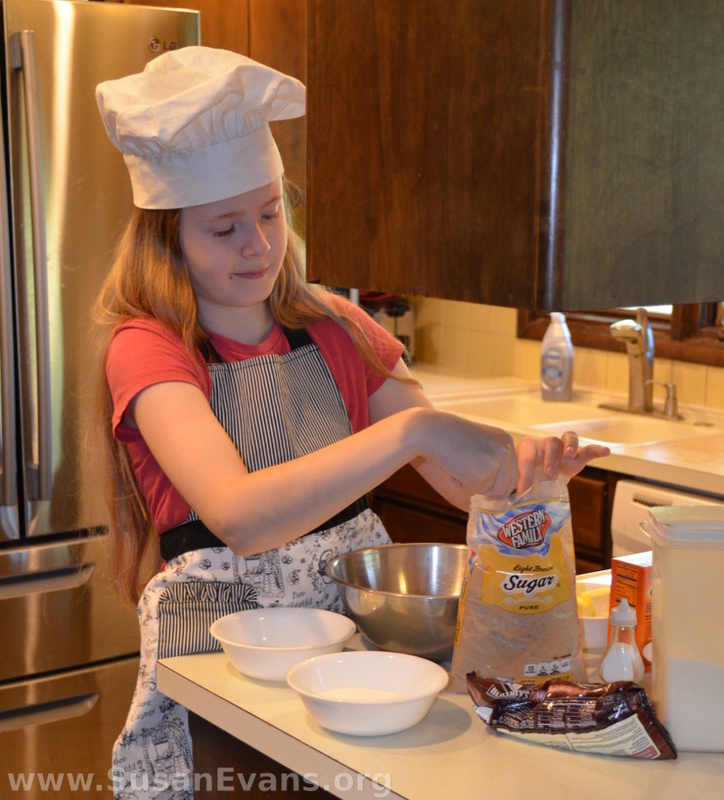 First you need to go into your kitchen and bake a huge chocolate chip cookie. 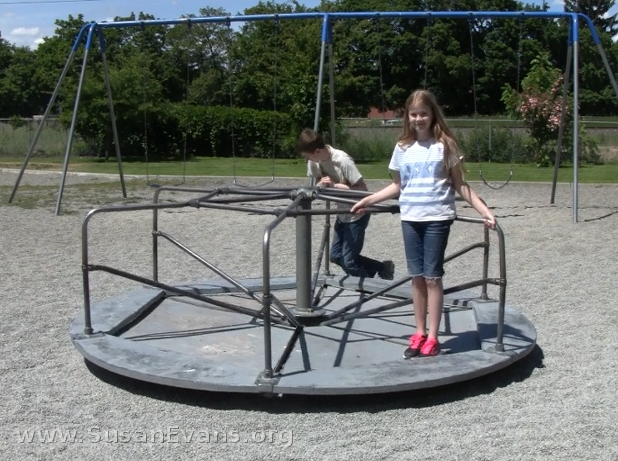 This fun experiment is from Christian Kids Explore Physics by Bright Ideas Press, In the chapter on motion, the book describes how to figure out the speed of a merry-go-round. First you need to determine the circumference of the merry-go-round. The radius of the merry-go-round is 5 feet. 5 times 2 times 3.14 equals 31.4 feet. So the distance around the merry-go-round is 31.4 feet. That means every time Rachel goes around, she travels 31.4 feet. To determine how many feet Rachel traveled in one minute while riding the merry-go-round, multiply the circumference by the speed. 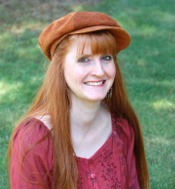 She traveled 471 feet per minute! 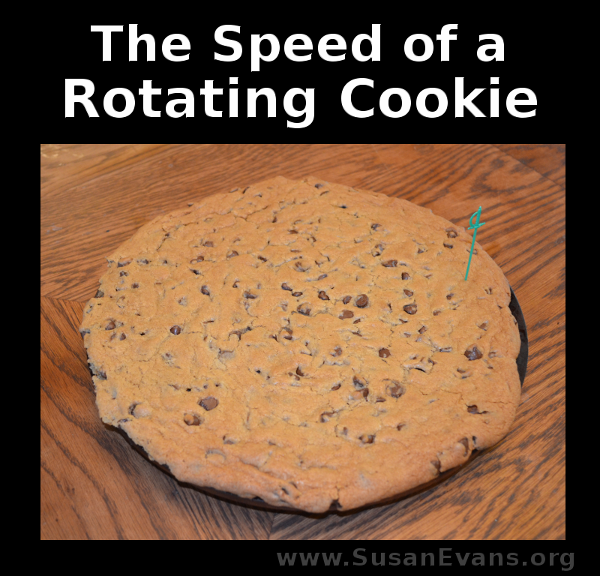 In the video I show you how to determine the speed of your rotating cookie at home, depending on how big it is and how fast you spin it. Who knew physics could be so fun and delicious! 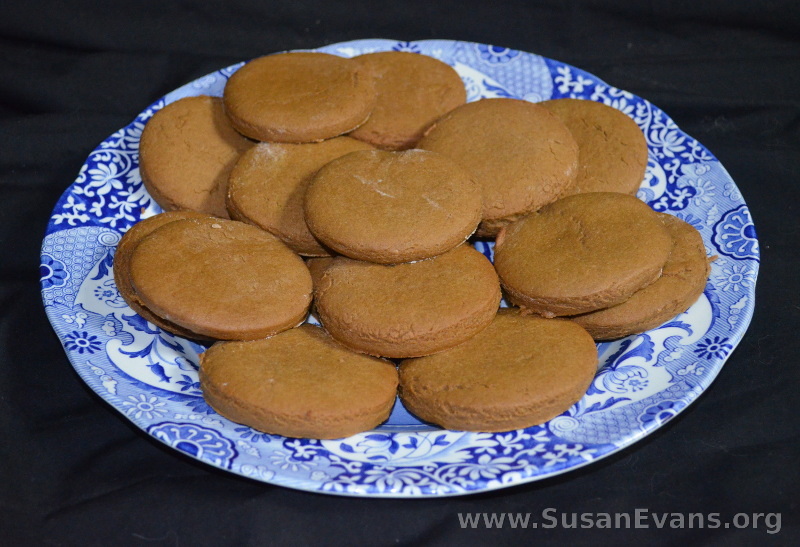 If you are studying the Civil War time period, why not make some old-fashioned molasses cookies? 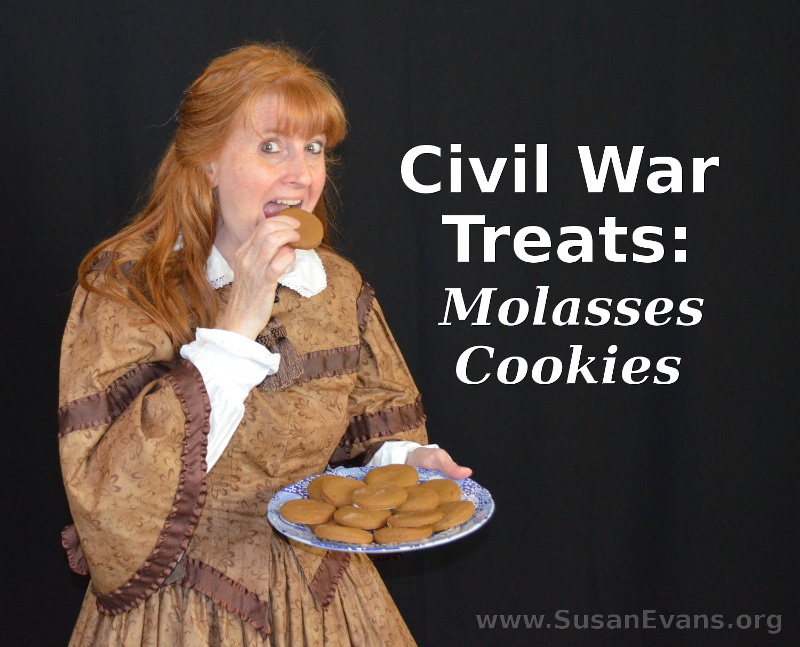 These Civil War molasses cookies are yummy! 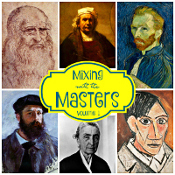 We got this idea from All American History, Volume II, which we are using in our study of the Civil War. When doing hands-on activities, it’s wonderful to be able to taste the time period. 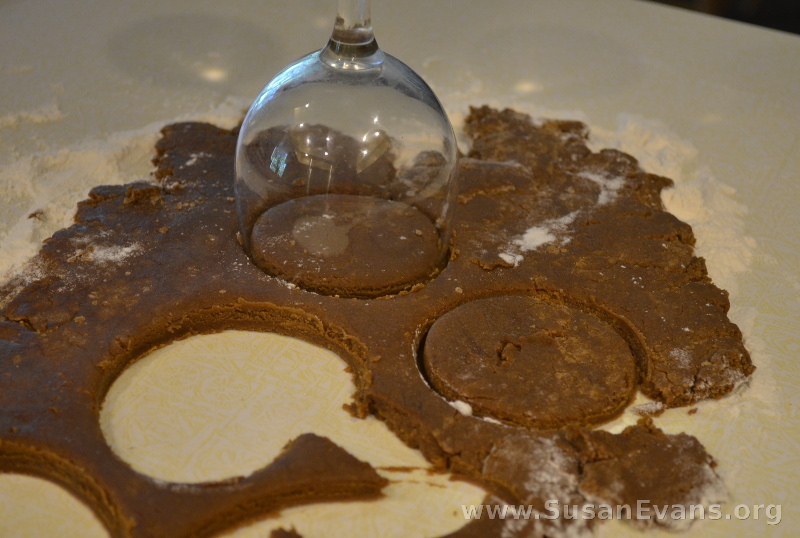 This is why we chose to make Civil War molasses cookies. Cream together shortening, brown sugar, egg, and molasses. Stir in flour, baking soda, salt, cinnamon, and ginger. Chill in the refrigerator for at least one hour. 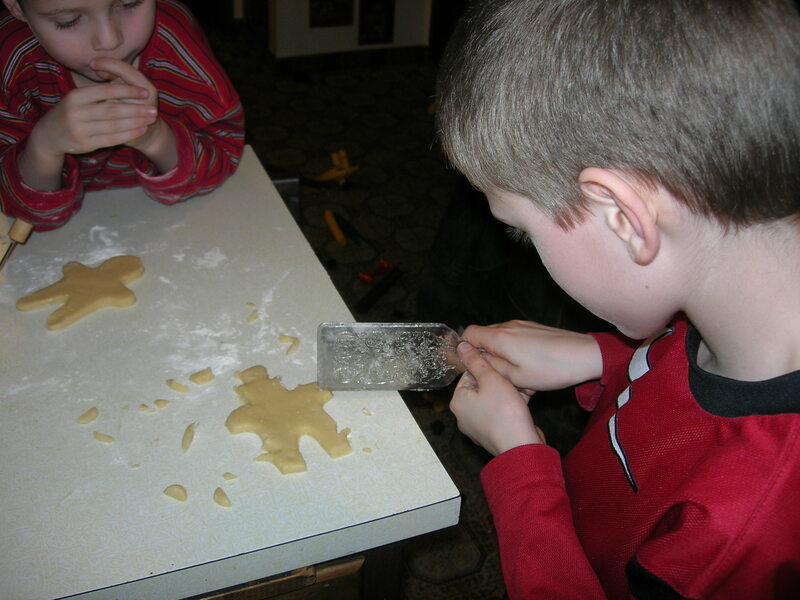 Heat the oven to 375 degrees and roll dough out to 1/4.” Cut out cookies with a round cutter (use either a glass, a lid, or a round cookie cutter). Place on a baking sheet; bake for 10 minutes. 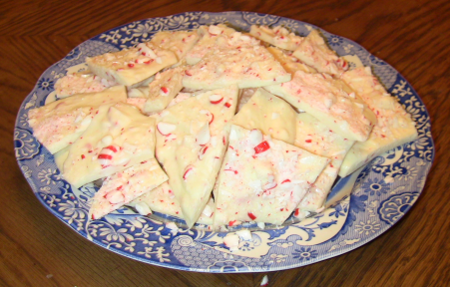 Peppermint bark is super easy to make and only requires two ingredients. It also tastes delicious and is special for the Christmas season. If you make this treat for your family and friends, they will think that you slaved away and spent a long time with much effort and love. The love part might be right, but the effort required is minimal–since this treat takes just five minutes to make! Microwave the white chocolate in a microwave-safe bowl for one minute. Stir. Microwave for another minute. Stir. Dump half the smashed candy pieces into the melted white chocolate and stir. Spread out on aluminum foil that has been sprayed with non-stick spray. Sprinkle the rest of the chopped candy over the top. Refrigerate for 3 hours. Take the peppermint bark out of the refrigerator. Pull off the aluminum foil. Break into pieces and place on a plate. 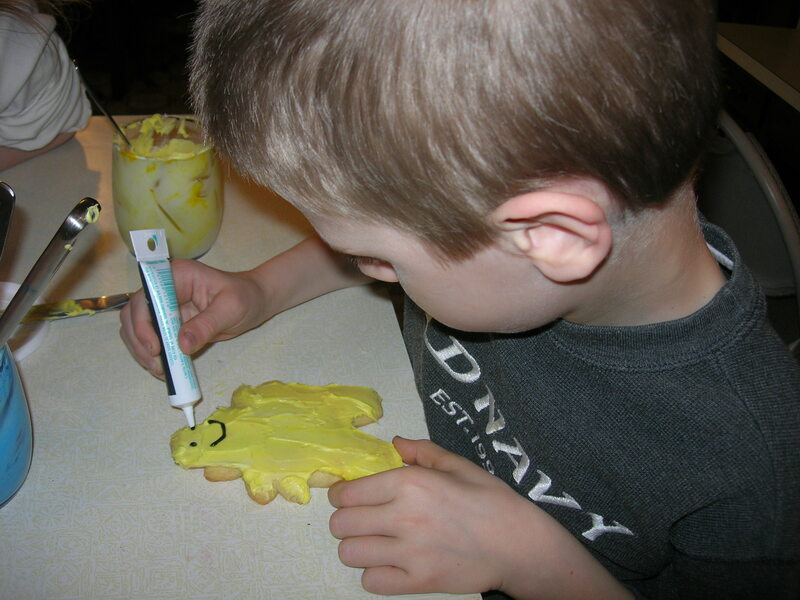 Give to family and friends to impress them, even though it took you a total of 5 minutes to make! 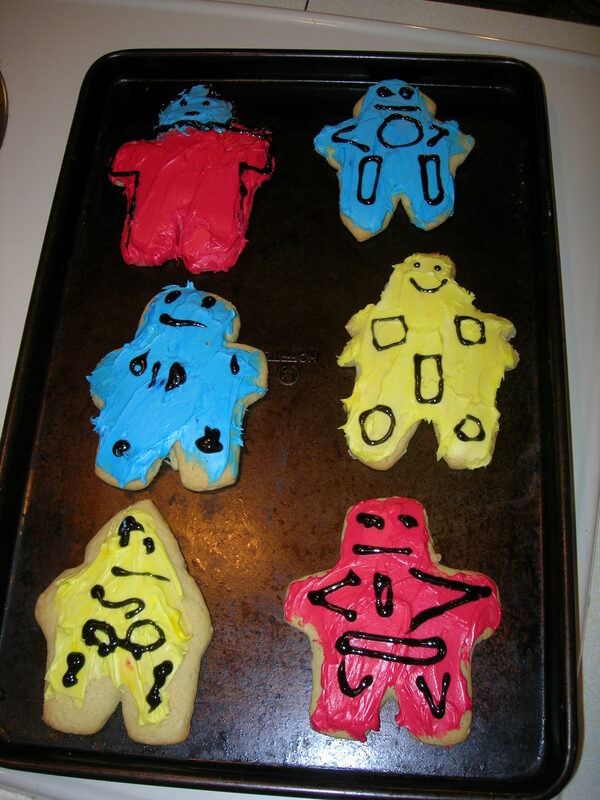 A woman I went to boarding school with in Guatemala told me how she made Transformer cookies with her sons, and what a success it was. She just used a gingerbread man cookie cutter and squared off the head, arms, and feet. I thought that was a great idea, so we made them. My oldest son Bryan actually sculpted a more complicated Transformer with a metal spatula while the dough was still on the counter. 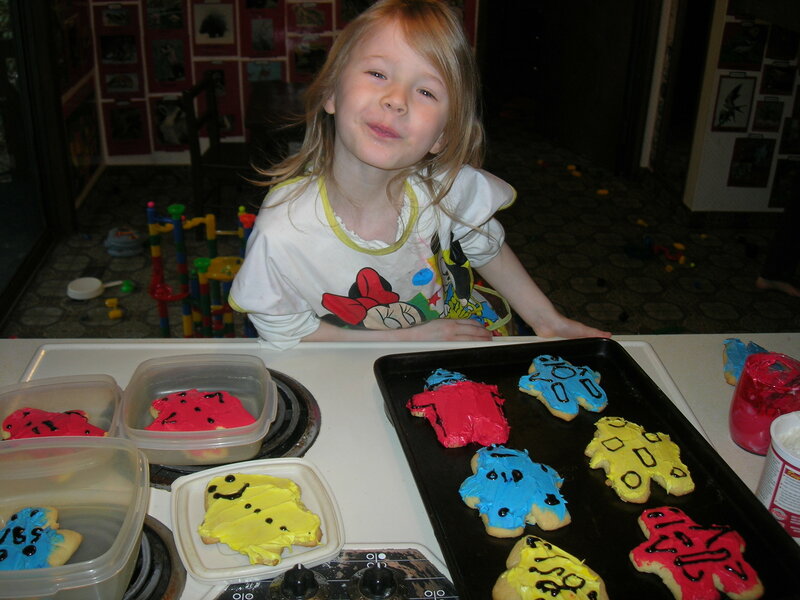 Then we iced the cookies with icing. I was able to get such bright bold primary colors from icing dye made for professionals who decorate cakes for a living. 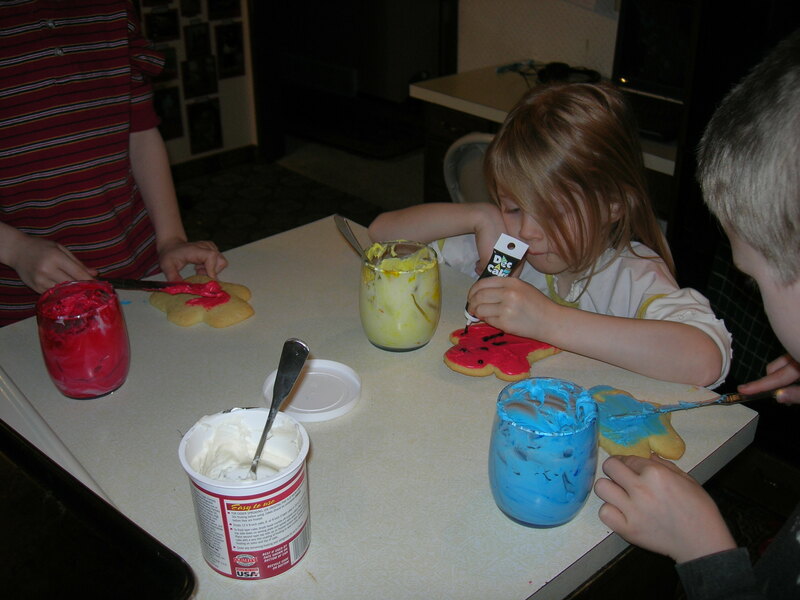 You can buy the icing dye from craft supply stores that have a cake-decorating aisle. We added more details with black icing gel, which you can get at a regular grocery store. You could also add M+M’s and other candy for the buttons of each robot. The finished Transformer cookies looked good enough to eat!